When Beautynomics.com herself, Sophie Uy, invited me to the House of Obagi event, I knew that there was no way I will miss that for the world. I have heard a lot of great things about the brand and it was a privilege to be given a glimpse of what The House of Obagi was made of from the expert themselves. 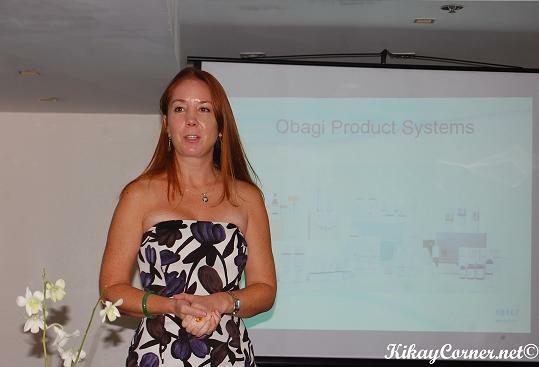 Aimee Demarais, the international trainor for Obagi products talked about the expertise of Obagi when it comes to skin care and essentially the very reason why they deliver. It is plain to see that there is no other generation that is more bombarded with hosts of beauty products than ours. It is then very important to look closely at the products that we use. As opposed to taking care of the root of the problem, what most products do is superficially cover skin issues which explains why skin problems go from bad to worse once you stop a regimen.